Offaly Sports Partnership with the support of Sport Ireland and other partner agencies have rolled out a number of targeted physical activity and sport initiatives for older adults throughout the county. An Older People in Sport working group was established and advanced plans to support the increased participation of older people in sport and physical activity. 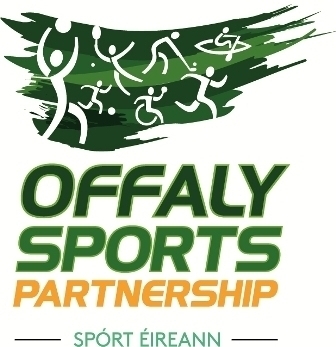 Offaly Sports Partnership wishes to acknowledge the commitment and dedication of the members of the working group and the organisations that they represented for bringing this project to fruition. They were Clodagh Armitage Physical Activity Coordinator with the Health Services Executive; Cllr John Carroll; Declan Costello West Offaly Partnership; John Kincaid; John Leahy, Games Promotion Officer GAA; John Moran, Offaly Leader+; and Nick Devery, Health Services Executive. This working group has been disbanded but increasing the participation of older adults in sport continues to be a priority of the Partnership. For more information on the Older Adults in Sport programmes, please contact Jean Brady (Sports Inclusion Development Officer, Offaly Sports Partnership) on 057 93 57463 or by email.